In Clay Club, we’ll be making a variety of clay sculptures and glazing them, while learning about the process from start to finish. Hi! 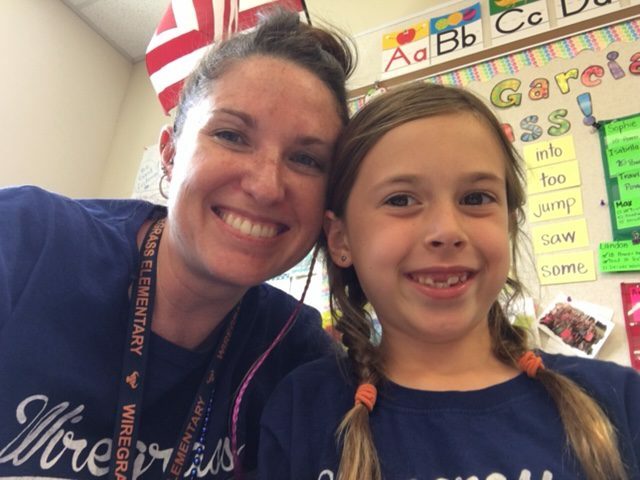 I’m Jessica McAvey, Art Teacher here at Wiregrass Elementary. This is my third year here at Wiregrass and I’m loving every minute! We have amazing artists here in our classes and I’m excited to bring new clay projects for our artists to create. In Clay Club, we’ll be making a variety of clay sculptures and glazing them, while learning about the process from start to finish. I am married and have two children, one of which attends Wiregrass Elementary. I have a passion for art and love to share it with our young artists. When I’m taking a break from art, I love to relax at the beach, go cycling, and spend time with family and friends.